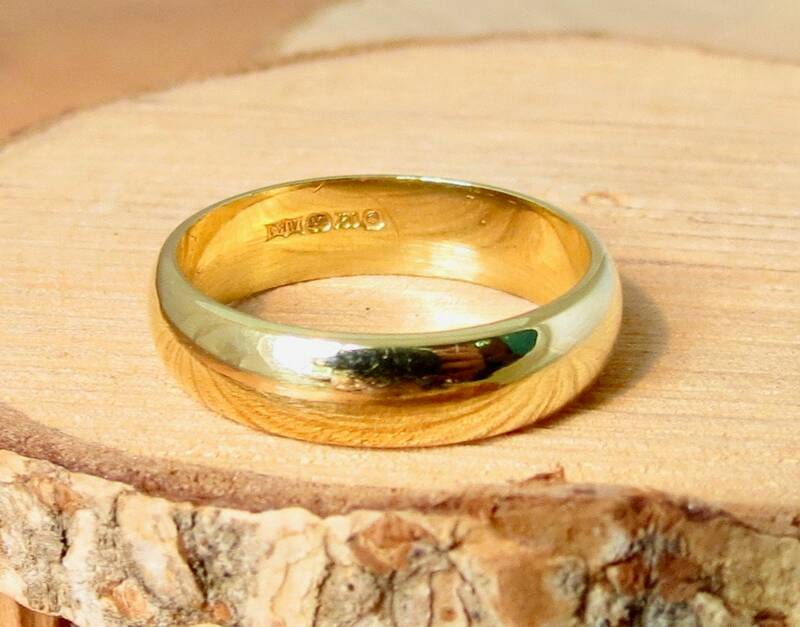 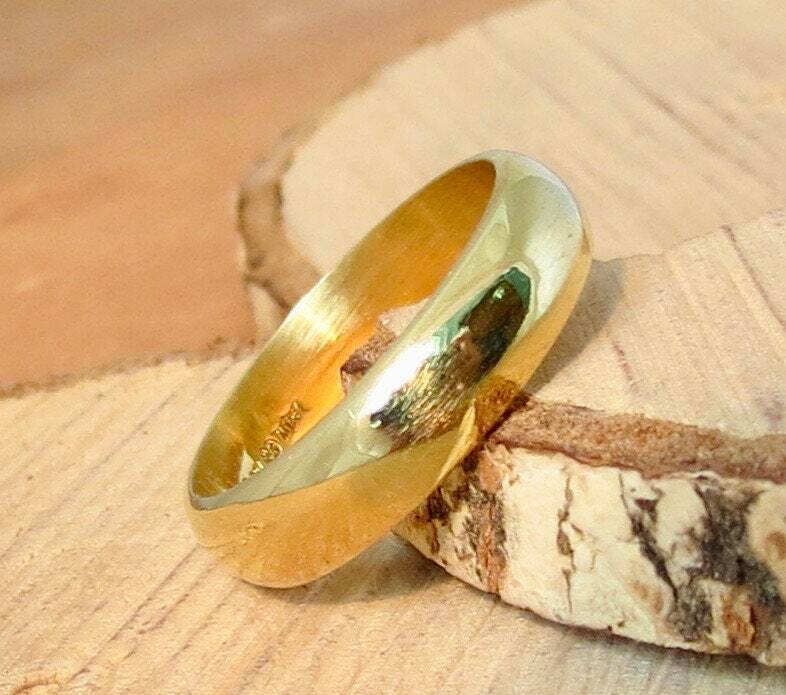 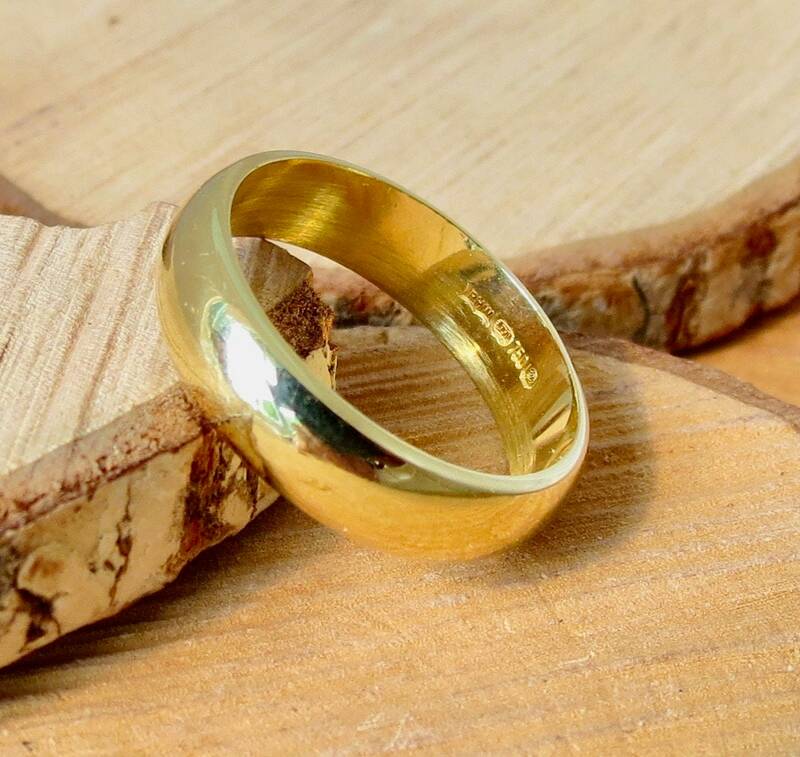 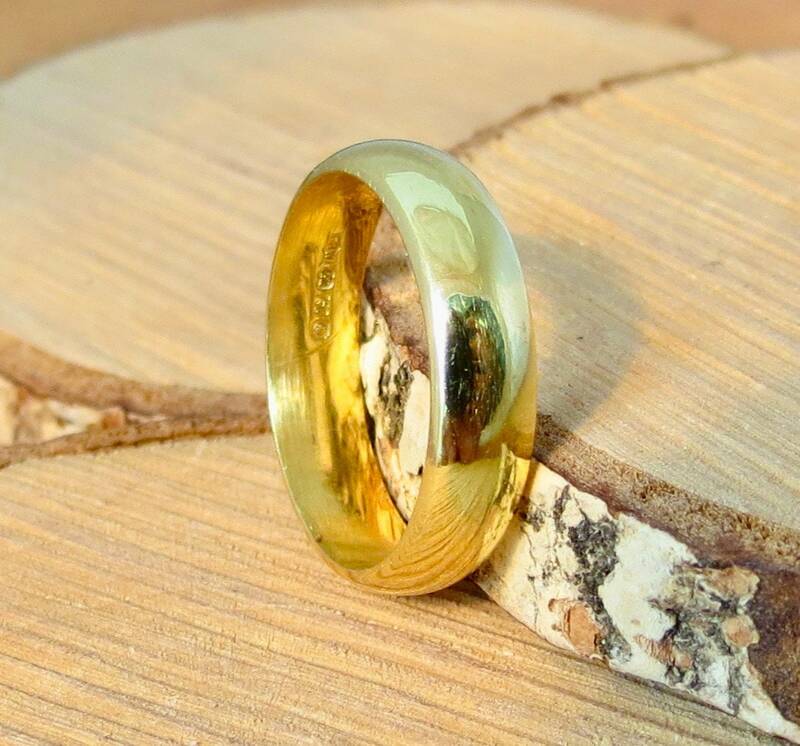 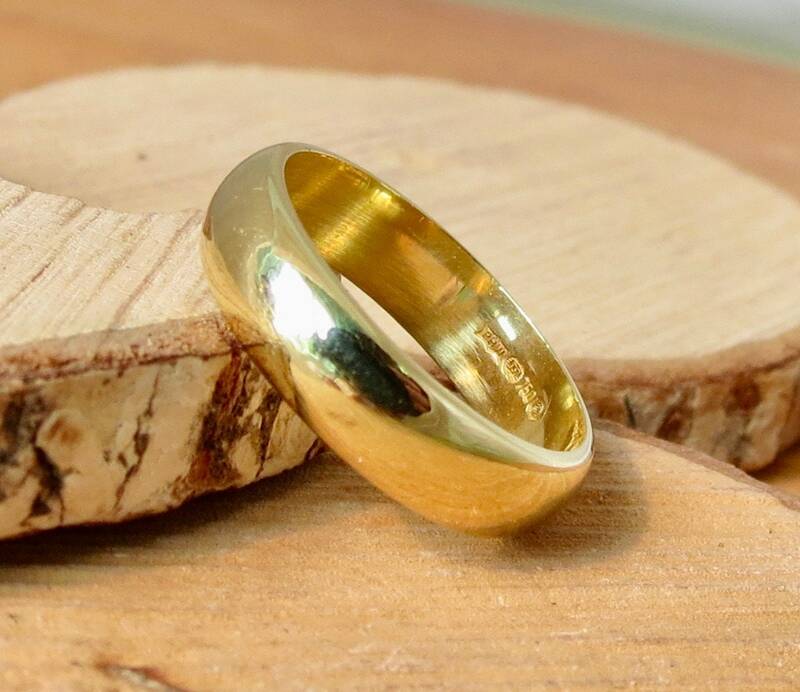 18K yellow gold D court wedding band. 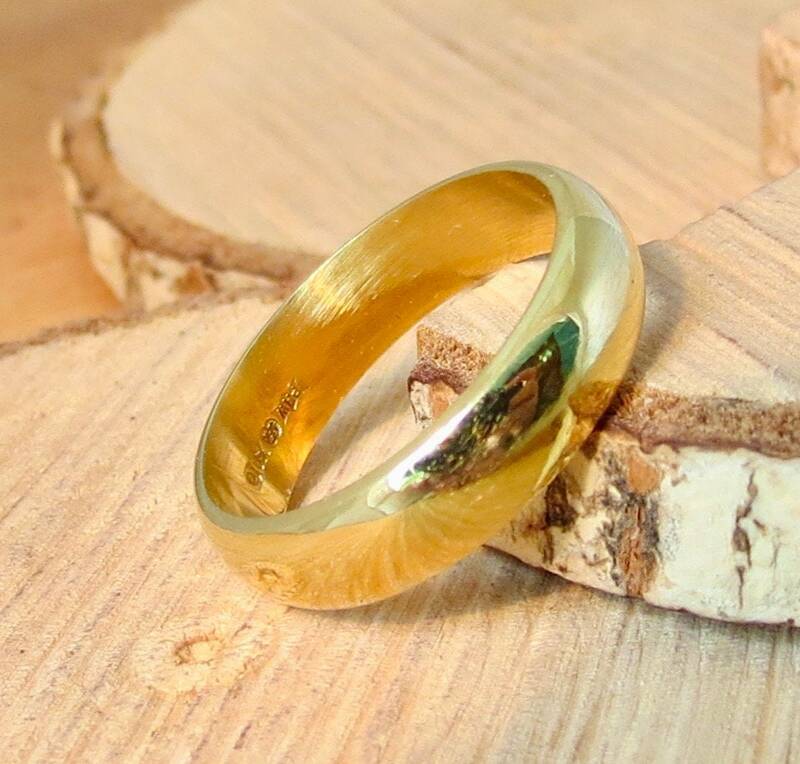 18K yellow gold wide band 5 mm, D court profile. 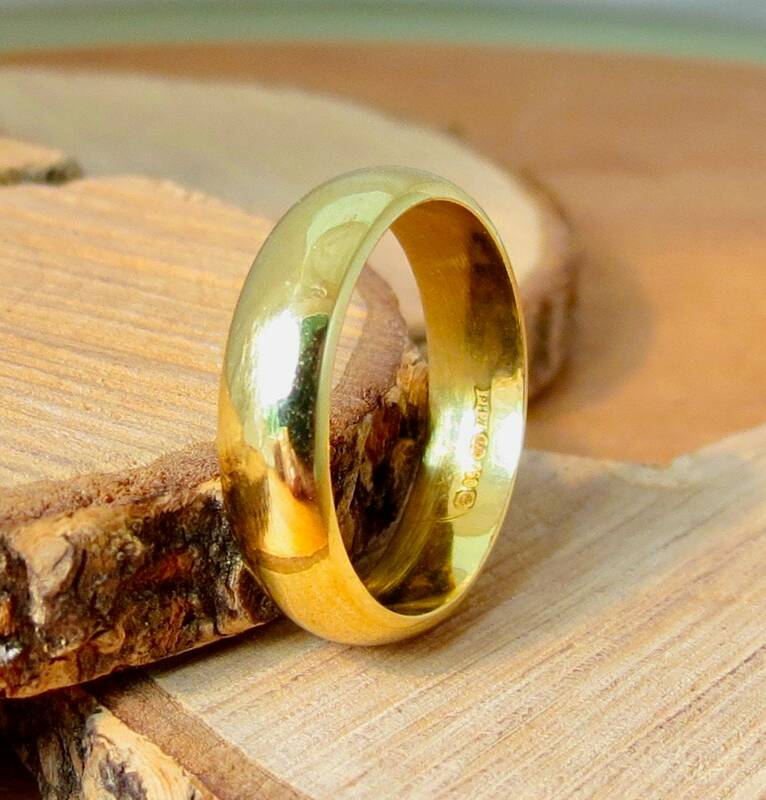 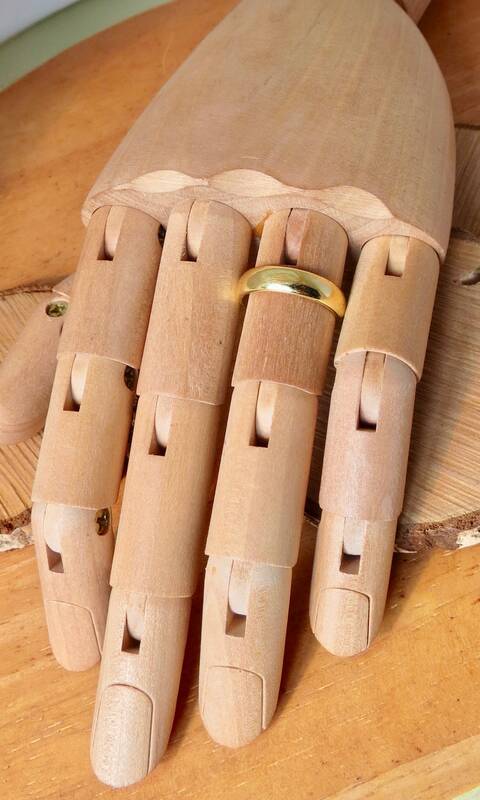 It may be possible to resized this ring at high street Jewellers at a minimal cost. 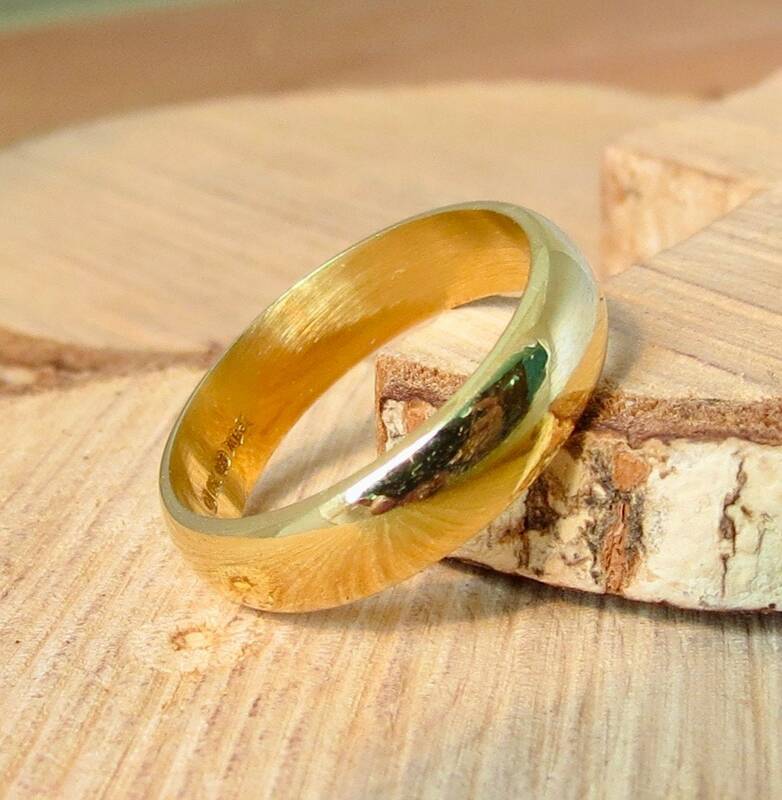 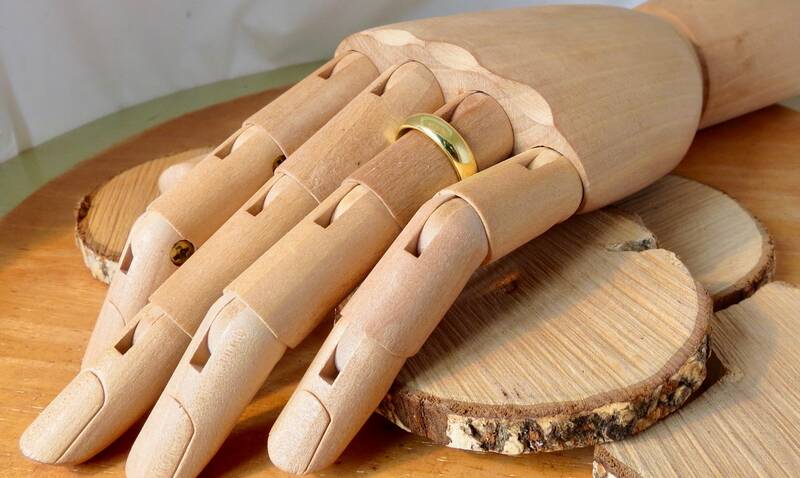 just add the resize my ring listing to your cart before checkout.